Fourth of July celebrations bring lots of food and fun, but also quite a bit of fire and noise. Fireworks remain a popular and controversial way to celebrate the holiday. Watching a streak of light shoot into the sky and explode into a colorful light fountain will never get old. But with that power comes a lot of danger. Fireworks in the wrong hands can lead to innocent people and pets getting hurt, so Connecticut remains strict with its firework laws. 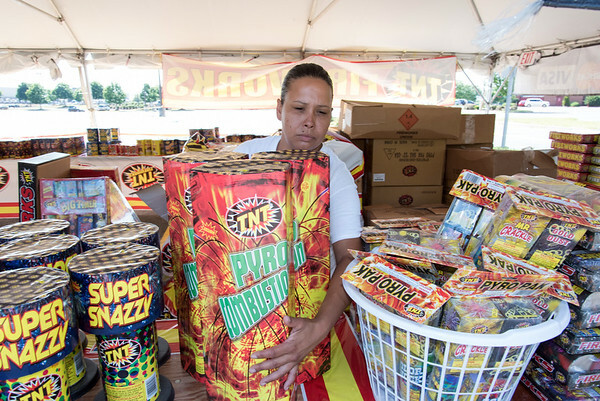 In April, the Connecticut Judiciary Committee voted down a bill that would’ve allowed bigger fireworks to be purchased and used in the state. 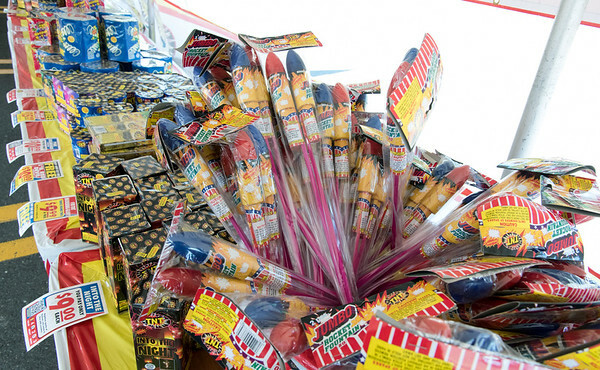 Bottle rockets and firecrackers were on the list to be legalized, but now remain illegal in Connecticut. State lawmakers in favor of the bill said the potential tax revenue was one reason for supporting legalizing some fireworks. Supporters also noted that it isn’t uncommon for Connecticut residents to go to Pennsylvania, Maine and New Hampshire to acquire pyrotechnic devices. But, multiple firefighters spoke out against the bill, including the Connecticut Fire Chief’s Association President Chief Kevin Cooney. “As a fire department, we’re the ones that respond and know firsthand how dangerous fireworks really are,” Cooney told WFSB. Party poppers, snakes, aerial rockets and anything that emits a flame are illegal. But that doesn’t stop residents from traveling to states like New Hampshire where fireworks are legal, purchasing them and bringing them back into the state. But anyone caught transporting fireworks illegally over state lines is subject to a $1,000 fine for the first offense and a $2,000 fine and a possible six month jail sentence for the second offense. Further, anyone found responsible for the injury or death of someone because of illegal fireworks use could be fined $10,000 and receive 10 year prison sentence. While everyone may enjoy making a little noise on the Fourth, experts, police and fire officials urge the public to attend a professional fireworks show rather than a backyard pyrotechnic celebration. The potential harm to property, people and pets should serve as a big deterrent to amateurs, they note. As a guide, sparklers can reach up to 2,000 degrees when lit, and although they are allowed here, experts say parents should monitor there use and keep a bucket of water close by when sparklers are being lit so they can be doused. According to the National Fire Protection Association, more than 28 percent of fires started by fireworks in 2009 through 2013 were reported on Independence Day. Almost half of the reported fires on the Fourth of July were started by fireworks. In 2014, 10,500 people were treated for fireworks-related injuries. In 2016, the number of injuries due to fireworks topped 11,000. Some pets have an adverse reaction to fireworks. Phantom Fireworks Company, which will be selling fireworks throughout New England this holiday, recommends walking dogs before the festivities begin in the hopes they sleep through the loud fireworks. If they’re awake and having a tough time, blast the TV volume or turn on an air conditioner to serve as background noise. There are also “thunder shirts” available to purchase that gives pets a cozy hug at all times during the loud holiday. Posted in New Britain Herald, Berlin, New Britain, Newington, Plainville, Southington Herald on Monday, 2 July 2018 21:23. Updated: Monday, 2 July 2018 21:25.